This paper shows an evaluation to the study of some heavy metals in certain gluten-free foods for celiac people marketed in Kayseri, Turkey. The concentration values of Cu, Mn, Co, Pb, Cr, Zn, Ni, Cd and Fe in eleven different gluten-free food samples are reported. The determinations were carried out by flame atomic absorption spectrometry after wet digestion method. The average metal concentrations of all the analyzed samples were determined in the range of 0.45-5.12, 1.84-12.2, 1.29-22.5, 0.60-3.01, 0.08-0.18, and 4.61-79.6 mg kg-1 for Cu, Mn, Zn, Ni, Cd and Fe, respectively. The accuracy of the method was confirmed by the analysis of a standard reference material (SRM 1570a Spinach Leaves). Metal pollution index was also calculated to examine the overall heavy metal levels in all analyzed samples. The concentrations of the analyzed metals are equivalent to 7.55-35.3% compared to the daily intake offered by international decision authorities. For this reason, the nutritional quality index for gluten-free food products with respect to all the metals seems to be relatively low. Bu çalışma, Kayseri’de satışa sunulan çölyak hastaları için bazı glütensiz gıdalarda belirli ağır metallerin çalışılmasına ilişkin bir değerlendirme sunmaktadır. On bir farklı glutensiz gıda numunesinde Cu, Mn, Co, Pb, Cr, Zn, Ni, Cd ve Fe konsantrasyon değerleri rapor edilmiştir. Tespit çalışmaları yaş yakma yöntemini takiben alevli atomik absorpsiyon spektrometresi ile yapılmıştır. Analiz edilen tüm numunelerin ortalama metal konsantrasyonları Cu, Mn, Zn, Ni, Cd ve Fe için sırasıyla 0,45-5,12, 1,84-12,2, 1,29-22,5, 0,60-3,01, 0,08-0,18 ve 4,61-79,6 mg kg-1 olarak belirlenmiştir. Yöntemin doğruluğu, standart referans materyalin (SRM 1570a Ispanak Yaprakları) analizi ile teyit edilmiştir. Analiz edilen tüm numunelerde toplam ağır metal seviyelerini incelemek için metal kirliliği endeksi de hesaplanmıştır. Analiz edilen metallerin konsantrasyonları uluslararası karar makamları tarafından önerilen günlük alım miktarı ile karşılaştırıldığında %7,55 ile 35,3’lük kısma denk gelmektedir. Bu nedenle, tüm metallere göre glütensiz gıda ürünlerinin beslenme kalite endeksi nispeten düşük görünmektedir.
.	Dennis M., Anne R.L., Tara M., Nutritional Considerations of the Gluten-Free Diet, Gastroenterol. Clin. N., 48 (1) (2019) 53-72.
.	Melisa J.H., Roxana N.V., Sonia C.S, Eduardo J.M., Roberto G.P., Toxic Trace Element Contents in Gluten-free Cereal Bars Marketed in Argentina, International Journal of Celiac Disease, 3(1) (2015) 12-16.
.	Mlyneková Z., Chrenková M., Formelová Z., Cereals and Legumes in Nutrition of People with Celiac Disease, International Journal of Celiac Disease, 2(3) (2014) 105-109.
.	Litwinek D., Ziobro R., Gambus H., Sikora M., Gluten Free Bread in a Diet of Celiacs, International Journal of Celiac Disease, 2(1) (2014) 11-16.
.	Mehder A.O., Yilmaz E., Sungur A., Soylak M., Alothman Z.A., Assessment of Cr, Mn, Fe, Co, Ni, Cu, Zn, As, Cd, and Pb Concentrations in Gluten-free Foods From Saudi Arabia by Inductively Coupled Plasma Mass Spectrometry, Atom. Spectrosc., 36 (6) (2015) 254-260.
.	Munera-Picazo S., Burló F., Carbonell-Barrachina Á.A., Arsenic Speciation In Rice-Based Food For Adults With Celiac Disease, Food Addit. Contam. A., 31 (8) (2014) 1358-1366.
.	Sarı H., Gökdağ H., Kızılkaya A.E., Çölyak Hastalığına Sahip İlkokul Öğrencilerinin Okulda Sosyo-Biyolojik İhtiyaçlarının Karşılanmasinda Yaşadıkları Problemlerin İncelenmesi: Bir Vaka Çalışması Yöntemi, Sosyal Politika Çalışmaları Dergisi. 18 (40) (2018) 121-134.
.	Harmancı Ö., Erişkin Yaş Grubunda Çölyak Hastalığının Klinik Özellikleri (Yan Dal Uzmanlık Tezi), Ankara, 2008 (in Turkish).
.	Rizzello C.G., Montemurro M., Gobbetti M., Characterization of the Bread Made with Durum Wheat Semolina Rendered Gluten Free by Sourdough Biotechnology in Comparison with Commercial Gluten-Free Products, J. Food Sci., 81(9) (2016) H2263-H2272.
.	Gobbetti M., Rizzello C.G., Di Cagno R., De Angelis M., How the sourdough may affect the functional features of leavened baked goods, Food Microbiol., 37 (2014) 30-40.
.	Melisa J.H., Sonia C.S., José M.C., Eduardo J.M., Roberto G.P., Trace element concentrations in commercial gluten-free amaranth bars, Journal of Food Measurement and Characterization, 9(3) (2015) 426-434.
.	Halina G., Dorota P., Florian G., Paulina W., Rafał Z., Mickowska B., Sikora M., Nutritional and dietary value of gluten-free rolls enriched in amaranth flour, Journal of Pre-Clinical and Clinical Research, 4(2) (2010) 126-130.
.	Santino O., Diana A., Maria R., Salvatore B., Claudia L., Francesca D.G., Determination of trace elements in gluten-free food for celiac people by ICP-MS, Microchem. J., 116 (2014) 163-172.
.	Yalçın G., Trace Element Content and Antioxidant Capacity of Gluten-Free Snacks Produced for Coeliac Disease Patients, Marmara Pharmaceutical Journal, 21(3) (2017) 598-602.
.	EC, Commission Regulation (EC) No 1881/2006 of 19 December 2006 setting maximum levels for certain contaminants in foodstuffs, Off. J. Eur. Union L364 (2006) 0005-0024.
.	FAO/WHO, Food Balance Sheet, http://www.fao.org/faostat/en/#data/FBS 2007.
.	Pourreza N., Naghdi T., Silicon carbide nanoparticles as an adsorbent for solid phase extraction of lead and determination by flame atomic absorption spectrometry, J. Ind. Eng. 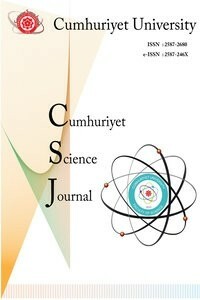 Chem., 20 (5) (2014) 3502-3506.
.	Saracoglu S., Soylak M., Cabuk D., Topalak Z., Karagozlu Y., Determination of some trace elements in food and soil samples by atomic absorption spectrometry after coprecipitation with holmium hydroxide, J. AOAC Int., 95 (2012) 892-896.
.	Bressy F.C., Brito G.B., Barbosa I.S., Teixeira L.S.G., Korn M.G.A., Determination of trace element concentrations in tomato samples at different stages of maturation by ICP OES and ICP-MS following microwave-assisted digestion, Microchem. Journal., 109 (2013) 145-149.
.	Nardi E.P., Evangelista F.S., Tormen L., Pierre T.D.S., Curtius A.J., de Souza S.S., Jr F.B., The use of inductively coupled plasma mass spectrometry (ICP-MS) for the determination of toxic and essential elements in different types of food samples, Food Chem.,112 (3) (2009) 727-732.
.	Erbas Z., Karatepe A., Soylak M., Heavy metal contents of play dough, face and finger paint samples sold in turkish markets, Talanta 170 (2017) 377-383.
.	Beccaloni E., Vanni F., Beccaloni M., Carere M., Concentrations of arsenic, cadmium, lead and zinc in homegrown vegetables and fruits: estimated intake by population in an industrialized area of Sardinia, Italy, Microchem. J., 107 (2013) 190-195.
.	Radwan M.A., Salama A.K., Market basket survey for some heavy metals in Egyptian fruit and vegetables, Food Chem. Toxicol., 44 (2006) 1273-1278.
.	Ysart G., Miller P., Crews H., Robb P., Baxter M., De L'Argy C., Lofthouse, S., Sargent C., Harrison N., Dietary exposure estimates of 30 elements from the UK total diet study, Food Add. Contam., 16 (1999) 391-403.
.	Orecchio S., Papuzza V., Levels, fingerprint and daily intake of polycyclic aromatic hydrocarbons (PAHs) in bread baked using wood as fuel, J. Hazard. Mater., 164 (2-3) (2009) 876-883.
.	SternB. R., Essentiality and toxicity in copper health risk assessment: overview, update and regulatory considerations, J. Toxicol. Env. Heal. A, 73(2-3) (2010) 114-127.
.	Enjalbert F., Lebreton P., Salat, O., Effects of copper, zinc and selenium status on performance and health in commercial dairy and beef herds: retrospective study, J. Anim. Physiol. An. N., 90(11‐12) (2006) 459-466.
.	Barceloux D.G., Barceloux D., Copper, Journal of toxicology: clinical Toxicology, 37(2) (1999) 217-230.
.	Fraga C.G., Relevance, essentiality and toxicity of trace elements in human health, Mol. Aspects Med., 26(4-5) (2005) 235-244.
.	Milne D.B., Johnson P. E., Assessment of copper status: effect of age and gender on reference ranges in healthy adults, Clin. Chem., 39(5) (1993) 883-887.
.	Maggio A., Orecchio S., Barreca S., Review on chemical composition of gluten-free food for celiac people, Integr Food Nutr Metab, 6 (1) (2019) 1-11.
.	Brasilian Ministry of Health, Ministério da Saúde, Secretaria de Vigilância Sanitária. Portaria. Diário Oficial da República Federativa do Brasil, 685 (1998).
.	World Health Organization [WHO], Quality Directive of Potable Water. WHO, Geneva 197 (1994).
.	National Research Council, Food, Nutrition Board, National Academy of Sciences Recommended Dietary Allowances, 10th edn. Washington, DC: National Academy Press (1989).
.	Walsh C.T., Sandstead H.H., Prasad A.D.S., Newberne P.M., Fraker P.J., Zinc: health effects and research priorities for the 1990s, Environ. Health Persp., 102 (1994) 5-46.
. Anonymous Regulation of setting maximum levels for certain conta minants in foodstuffs Turkish Official Gazette, 24908 (2002).
.	Barceloux D.G., Barceloux, D., Nickel, Journal of Toxicology: Clinical Toxicology, 37(2) (1999) 239-258.
.	Denkhaus E., Salnikow K., Nickel essentiality, toxicity, and carcinogenicity, Crit. Rev. Oncol. Hemat., 42(1) (2002) 35-56.
.	Piscator M., Dietary exposure to cadmium and health effects: impact of environmental changes, Environ. Health Persp., 63 (1985) 127.
.	Klaassen C.D., Liu J., Diwan B.A., Metallothionein protection of cadmium toxicity, Toxicol. Appl. Pharm., 238(3) (2009) 215-220.
.	Nawrot T.S., Staessen J.A., Roels H.A., Munters E., Cuypers A., Richart T., Vangronsveld, J., Cadmium exposure in the population: from health risks to strategies of prevention, Biometals, 23(5) (2010) 769-782.
.	Es’haghi Z., Khalili M., Khazaeifar A., Rounaghi, G.H., Simultaneous extraction and determination of lead, cadmium and copper in rice samples by a new pre-concentration technique: Hollow fiber solid phase microextraction combined with differential pulse anodic stripping voltammetry, Electrochim. Acta, 56(9) (2011) 3139-3146.
.	Allen L. H. Anemia and iron deficiency: effects on pregnancy outcome, Am. J. Clin. Nutr., 71(5) (2000) 1280-1284.
.	Tenenbein M., Kowalski S., Sienko A., Bowden D.H., Adamson I.Y.R., Pulmonary toxic effects of continuous desferrioxamine administration in acute iron poisoning, The Lancet, 339 (8795) (1992) 699-701.